Caracas (AFP) - President Nicolas Maduro on Saturday accused the United States of using frozen Venezuelan funds to bankroll mercenaries to assassinate him in a "plot" he said was directed by opposition leader Juan Guaido. 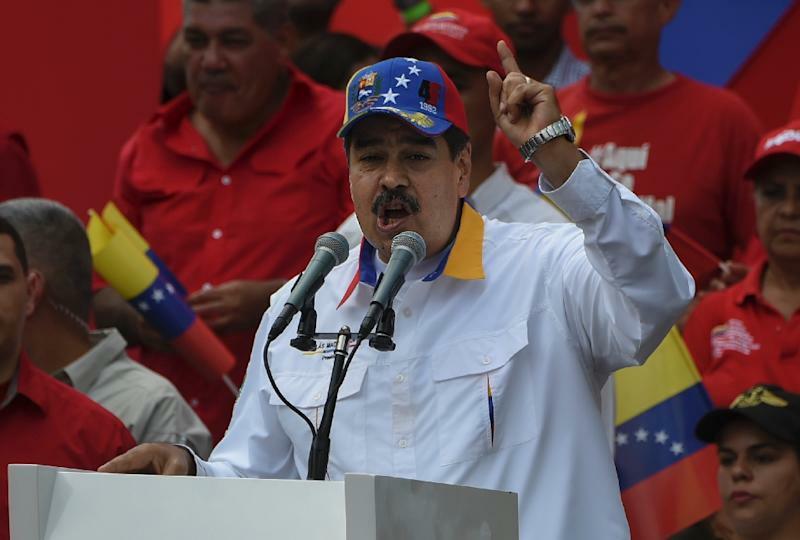 "We have dismantled a plan organized personally by the diabolical puppet to kill me," Maduro told thousands of supporters in Caracas, referring to Guaido, who is recognized as interim president by more than 50 countries. He alleged that Colombia, Venezuela's US-aligned neighbor, was also involved, and said that an unidentified Colombian paramilitary chief had been captured in the country "and is giving testimony." Maduro's government gave details of the alleged plot on state television, with Information Minister Jorge Rodriguez saying "hitmen" from El Salvador, Guatemala and Honduras had been recruited "using big sums of money" and sent to Colombia ahead of missions into Venezuela to carry out "targeted assassinations" and "sabotage." Marrero, a 49-year-old lawyer, was arrested on Thursday in his Caracas home, triggering an outcry and demands he be immediately released by the US, the European Union and major Latin American countries that recognize Guaido as Venezuela's interim president. Hours later, Maduro's government showed pictures of weapons it said it found and alleged Marrero was part of a "terrorist cell." Guaido, the head of the opposition-run assembly, has asked the international community to keep up its pressure on Maduro's government. US President Donald Trump's administration has repeatedly warned Maduro to not arrest or intimidate Guaido or his aides, or else face unspecified consequences. Trump has reiterated that "all options" -- implicitly including military action -- are on the table for dealing with Venezuela.